An occasional glass of wine or beer is nice and relaxing and is often an important part of a social occasion. If drinking too much becomes a dominant part of your everyday life, however, you may have an alcohol addiction. Not everyone who drinks regularly is addicted, and alcoholism can be hard to define, particularly in the UK, where binge drinking is common, particularly among the 16-24 age group. However, binge drinkers are themselves at high risk of becoming alcoholics. Alcoholism is a serious issue in the UK and causes thousands of deaths each year with over 6,000 in 2008 alone. It wreaks havoc and misery for alcoholics and their families. 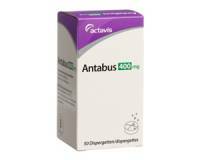 - Experiencing withdrawal symptoms (vomiting, sweating, insomnia) if you do not drink regularly. - Korsakov's syndrome (irreversible memory disorder caused by the death of brain cells). - Blood poisoning - this occurs if a binge drinker consumes too much alcohol in too short a period of time leading to dangerously high concentrations of alcohol in the blood. Alcohol addiction can cause a lot of psychological and social damage. Many alcoholics cause irreparable harm to their relationships with their family and friends as a consequence of their addiction and the frequently associated behaviours - theft, dishonesty, violence, and many other antisocial practices. Detoxification of alcohol is often done through behavioural therapy. A doctor may also prescribe medications that help people to withdraw from alcohol safely. One common medication is Antabuse, which causes unpleasant symptoms if alcohol is consumed. 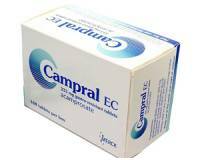 Another drug is Campral, which reduces the need for alcohol).